I love fabric. I love quilting. 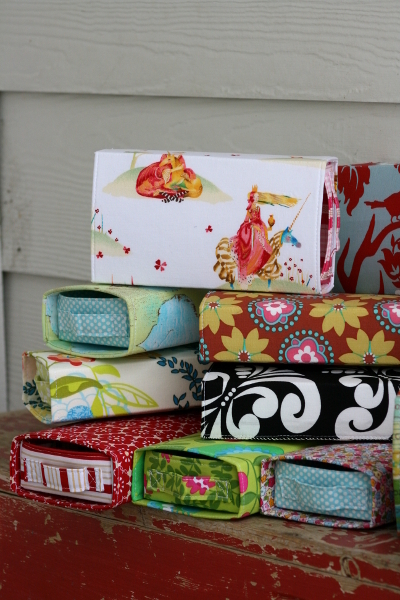 I haven’t ventured much into sewing other items, but last year for Christmas I decided to undertake the making of a bunch of fabric pull-out boxes. They were fun gifts to make and I’ve made some here and there for the past 8 months. 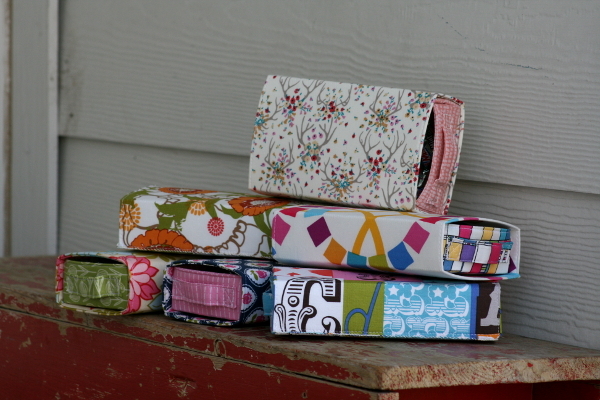 It’s fun to use different color and fabric combinations and see how they turn out. I tried to make a variety of styles and it kept the project interesting. 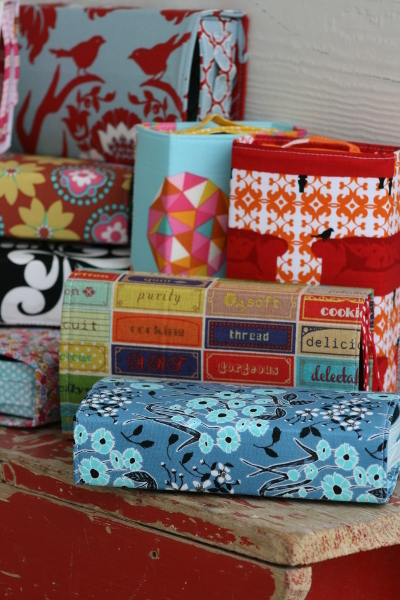 This project is a great use for fat quarters. The pattern is from Aneela Hoey’s shop, and comes in two different sizes. 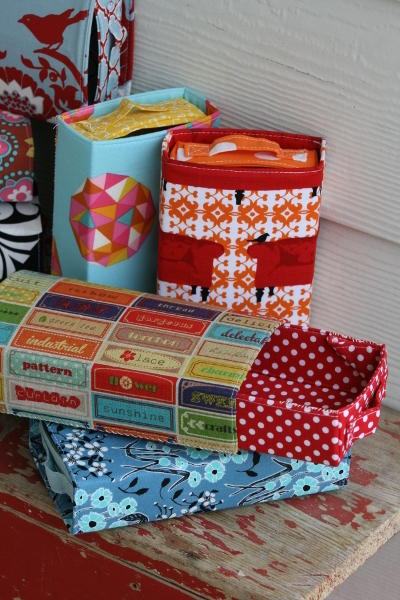 I only made the smaller of the two, and found it’s a great size for all kinds of things, including sewing supplies, or goodies if you’re giving a gift. They are sturdy and roomy. 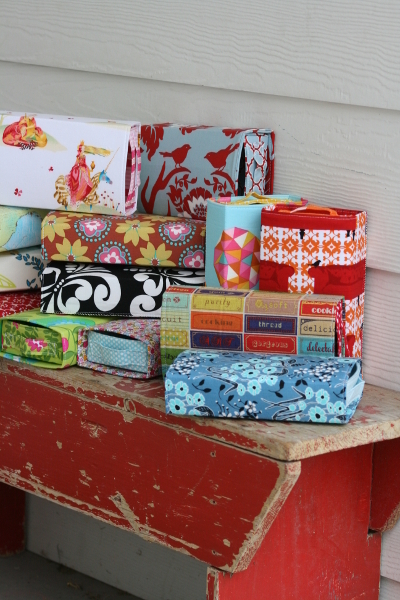 I will admit that the boxes took longer to make than I hoped they would. There are a lot of steps and the final assembly of the boxes requires hand sewing as well, which I didn’t realize when I bought the pattern. (I kind of committed myself without really knowing what I was doing.) The finished product, however, was a great reward for my time and effort, so I’m happy with the outcome.